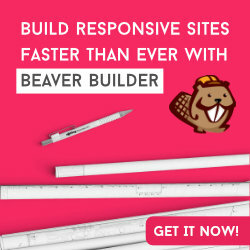 Without exaggeration, Beaver Builder is one of the top reasons I fell in love with building websites. I was already learning, but the fun and love didn't come in until I stumbled across this tool. I recommend it to designers, developers, bloggers, basically anybody looking to build a quality website for their business. It's that easy to use. If you need any guidance determining if you should get the theme, or just the plugin(s), or what combination would fit for you - just send me a message! SiteGround has continuously exceeded my expectations. I was using SiteGround for a good bit before I became an affiliate for them (as is the case for just about every tool on this page), and highly recommend them. Signing up is easy and affordable, and managing things like your SSL certificate, WordPress installation, and other things are incredibly simple in their dashboard. 5 stars from me. Lee Jackson is a must-follow if you are even mildly interested in learning more about WordPress and online business. 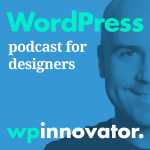 This also happens to be the first WP podcast I subscribed and listened to, over a year ago. Lee is not only a good friend, but also one of my WordPress role models on both the technical and business side of the equation. Nathan and David are ridiculously smart despite their self-deprecating attempts to say otherwise. You'll feel like you've known them for years after just an episode or two, and I've laughed out loud more than a few times. Topics include the WordPress community, licensing, and a myriad of other concerns and issues that website designers and developers run into on a regular basis.